Cruising in Seraffyn by Lin & Larry Pardey is one way to live your unfinished dream. Known as the pioneers of castaways for greater life experiences, they have made their mark and cut their trail on our planet. This book is celebrating its twenty-fifth year in publication. The book has sold over 50,000 copies in five editions and three languages. Their visions of practical and affordable dreams lure the reader into a mystical realm distant to 99.999% of us. Enticing? Yes. Duplicated by others? Yes. Why are these folks special? Many try and few complete the Pardey’s life goals. They were able to cast off the economic chains and put a plan to work that continues to be successful today. And along the way Lin & Larry stayed true to their quest. They are considered the deans of Cruising the seas in a small wooden boat under sail. They are experts to all who voyage to hidden ports and explore unknown peoples. Think of a romantic vision of Magellan. Today they continue to travel; though land based in happy New Zealand, with roots in California and Canada. A pickup truck and camper serves as another home away from the sea. Spartan by most standards, Lin and Larry travel without much want, as their reputation proceeds them worldwide. Writing and Publishing to share their life experiences and offering a glimpse into the lifestyle of open ocean life engulfs much of the year. The rest is searching for the next anchorage or port on one of their other vessels in New Zealand. See, Seraffyn is not the kind of yacht that many vision on the silky Caribbean Seas. 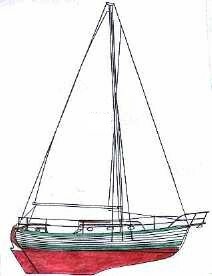 Seraffyn is historic and represents a boat that those in the know, those that understand sailing and those that build vessel are keenly aware: it is Twenty-Four feet long and with one mast, has no motor or electricity. For that matter it has no toilet. Think 24 feet for a moment. That’s eight adult strides in a line. Try this: 3 Smart Cars bumper to bumper! Now think this: Twenty-four foot seas, at night in the open Indian Ocean under sail, (no engines). Yet, the beauty of Mediterranean and tropical islands were on their charts every new day. Two people sailing around the earth and visiting distant ports where Westerners have never touched is incredible. Larry is the builder. Larry built Seraffyn to the specs of the Lyle Hess, Bristol Channel Cutter, a formal working boat. This sturdy shallow draft vessel from hardwood and teak and brass was made to withstand the high seas, yet give comfort to the Pardeys. 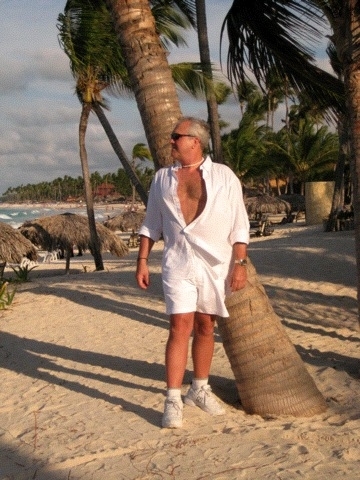 Larry is the expert in the techniques of open sea cruising. 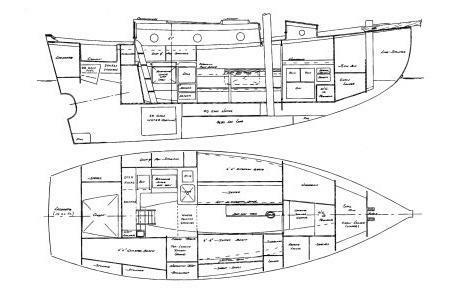 The broad deck and the ample spaces below deck were enhanced by Larry’s designs. These plans are available to all sailors. Lin is the scribe and her skills in putting the human spirit into their quest is magical. One feels the rolling swells beneath the hull and the warmth of the smiles of children in the coves and bays from her words. Several books document their years on the waters. Their DVDs give us the knowledge of their decades of determination. In meeting and knowing the Pardeys and while sailing on Seraffyn, I have grown to respect their accomplishments and embrace the books of their travels. The angels surely are looking over Seraffyn. 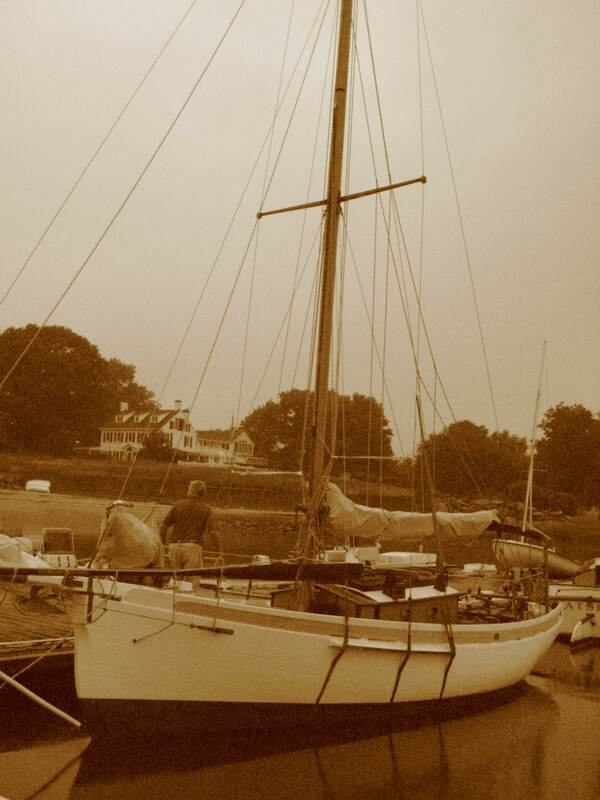 The boat is owned by a caring seaman, in New England, who maintains the highest care over this fantastic vessel. The Pardey’s books are published by Paracay Publishers.